Post your washburn gear. In case the thread title didn't give you that hint. Posted: Aug 16, 2007 3:29 PM - Quote	- Report! Washburn X30, equipped with DiMarzio Evo2's. Washburn X30, equipped with DiMarzio Evo2's. Posted: Aug 20, 2007 6:16 AM - Quote - Report! Washburn X10 including Yamaha D112 stock humbucker. Pics soon. 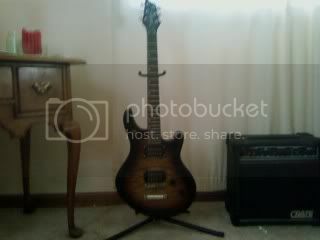 Washburn X10 including Yamaha D112 stock humbucker. Pics soon. Posted: Sep 12, 2007 2:01 PM - Quote - Report! Posted: Oct 15, 2007 10:42 PM - Quote - Report! Posted: Oct 27, 2007 6:12 PM - Quote - Report! X22 or as I like to call it, SeX22. X22 or as I like to call it, SeX22. Posted: Dec 6, 2007 6:18 PM - Quote - Report! Posted: May 9, 2008 4:26 AM - Quote - Report! Posted: Sep 3, 2008 8:21 PM - Quote - Report! Posted: Nov 5, 2011 6:36 AM - Quote - Report!